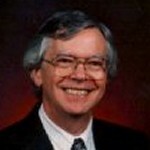 Professor Kenneth Kirwin has been teaching at William Mitchell College of Law since 1970. He has taught numerous courses, including professional responsibility, constitutional law, criminal law, and criminal procedure, and currently is co-coordinator of Mitchell's Writing & Representation: Advice & Persuasion course. He has served as a reporter for and member of a number of bar association and state supreme court committees dealing with issues of lawyers' professional conduct. He also served as reporter for several projects of the National Conference of Commissioners on Uniform State Laws. Professor Kirwin graduated from St. John's University, Collegeville, Minnesota, in 1963 and from the University of Minnesota Law School in 1966. He clerked for Minnesota Supreme Court Associate Justice Robert Sheran for a year and practiced with the Minneapolis law firm of Lindquist and Vennum for three years before joining the William Mitchell faculty.